It was f&$%cking cold. The band had heaters on stage to warm their hands. Everybody wore hats, scarves and gloves. I recall Nils Lofgren even upgrading his scarf to a somewhat warmer version early in the set. It was f&$%cking wet. The rain was pouring down all afternoon and all evening. It was f&$%cking windy. The gusty winds in the Olympic Stadium didn’t make the weather more comfortable. But the pit audience endured the rain and stood in line & waited for the concert more than 7 hours+. 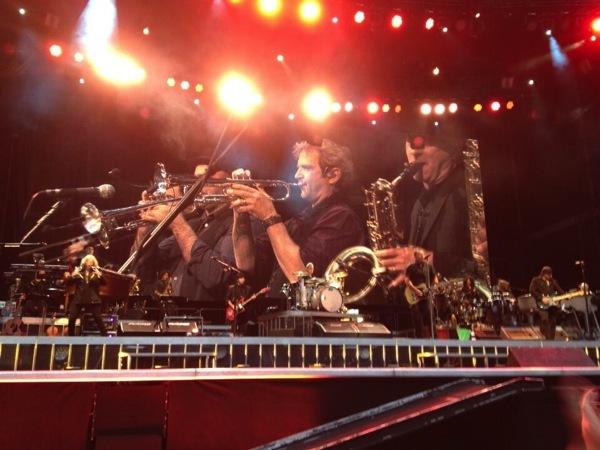 #235 got me a place about 3rd row right in front of Nils Lofgren. 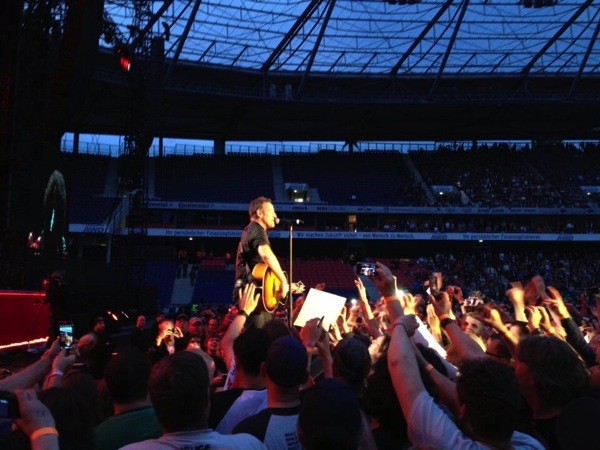 Springsteen’s show in Munich was a most amazing display of professionalism, showmanship and heart. The set was targeted towards keeping the crowd moving, the full Born in the USA album (much appreciated) was played. 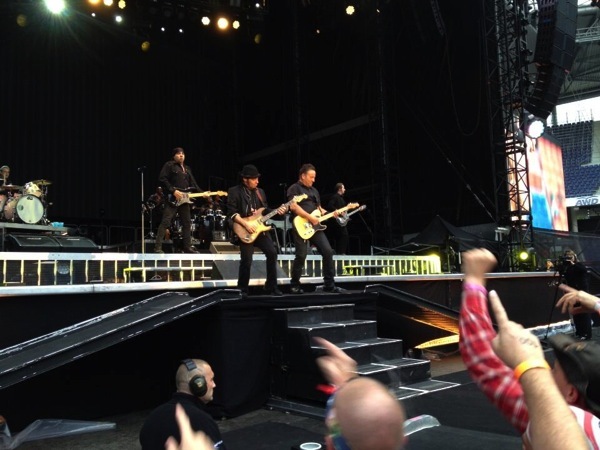 Bruce mentioned a couple of times how much they appreciated us supporting the band despite the weather. After having seen the Hannover show 2 days later I think it’s a safe bet that he was out in the pouring rain on the front platform even more often than usual to show his support for the audience. Was it worth waiting in the cold rain for 7h+ to see the concert from the pit? You bet. It was worth every minute. Uplifting. They’re that good. (*) With quite a couple of concerts under my belt, I’m still waiting for “Racing in the Streets”.